It’s taken a decade and 18 films, but the Marvel Cinematic Universe has finally produced a superhero movie that feels like it was ripped from the pages of a comic book. Ditching the MCU’s familiar roster of heroes (they don’t get as much as a mention) along with many of the basics of the Marvel film formula, Ryan Coogler has turned Black Panther into a highly personal crowd-pleaser in the vein of his last film, the Rocky sequel Creed, but with all the idiosyncrasies and intrigues afforded by its main setting, the fictional African kingdom of Wakanda. There are hiccups in its ambition, but it’s hard not to get swept up in all the technologies, characters, and politics crammed into the movie’s compelling dramatic conflict, which casts the charismatic Michael B. Jordan—the star of Creed and Coogler’s debut, Fruitvale Station—as the most complex villain in the post-Dark Knight cycle of superhero blockbusters. 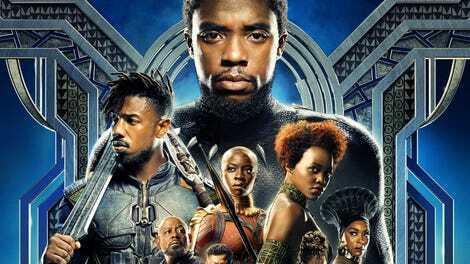 The plot itself stretches from Wakanda’s futuristic Sudano-Sahelian skyscrapers to Coogler’s native Oakland, across multiple dream sequences (all dramatically significant, one quite touching) and backstories. It begins with an animated prologue that lays out the alternate history of Wakanda, where massive deposits of a fantastical element called “vibranium” gave rise to a scientifically advanced civilization that has kept itself a secret from outsiders. The Wakandans live a century ahead of the rest of the world, their super-weapons and metropolitan architecture hidden by mountains and holograms. They are five tribes more or less united under a single king, who protects his people as the high-tech Black Panther. 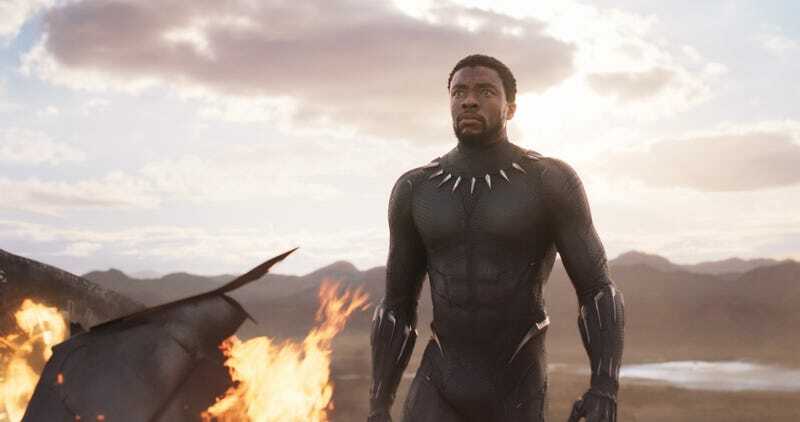 Picking up shortly after the events of Captain America: Civil War, which gave the character his big-screen debut, Black Panther finds Wakanda’s crown prince, T’Challa (Chadwick Boseman, with a purring accent), returning to take on the mantle after the death of his father. A hero in a sleek black suit and claws with no interest in playing well with others (or even bothering to learn names), the T’Challa of Civil War made a welcome foil to the chummy sitcom dynamics of the MCU. He is externally cool, raised from birth to be a leader, but his conflicts are all internal. In a smart move, Coogler and his co-writer, Joe Robert Cole, flesh out his personality by playing him against a large cast of supporting characters: his teasing teenage sister, Shuri (Letitia Wright); his friend W’Kabi (Daniel Kaluuya); M’Baku (Winston Duke), the leader of the hostile, mountain-dwelling Jabari tribe; Zuri (Forest Whitaker), an elder mystic of Wakandan ancestral ceremonies; the CIA operative Everett K. Ross (Martin Freeman); the aforementioned Nakia and Okoye. Most of these characters hold different opinions about the role of a king (or, in the case of M’Baku, T’Challa’s fitness for the throne), which turns Black Panther into a running conversation. But the meat of the story comes from Erik “Killmonger” Stevens (Jordan). A classic nemesis from the Black Panther comics liberally reimagined by Coogler and Cole, he is the American son of a Wakandan prince—a cocky and cold-blooded killer who eventually dons a Black Panther suit of his own, his ruthlessness made sympathetic by Jordan’s surprisingly moving performance. T’Challa is indecisive (seemingly the fate of all princes with murdered fathers to avenge), while he is as righteous as Captain Nemo, angered by racism, imperialism, war, and all the other things black people have experienced outside the Wakandan bubble. From its first scene, the film establishes betrayal as its central theme, only to flip it back. Wakanda’s foreign policy is espionage and camouflage, which probably makes conspiracy inevitable. But there has to be some significance to the fact that most of the characters in Black Panther—a film where personal and cultural identity crises drive a pulpy plot—are master spies or have secrets to hide or are otherwise literally masked. “Wakanda forever!” goes the Dora Milaje’s battle cry, heard in a climactic battle royal of sonic weapons, force fields, and charging rhinos. But what is Wakanda, anyway? Black Panther doesn’t shy away from the messianic ambiguity of this Afro-futurist Shangri-La, which offers not only the wonders of things to come, but also a complete rewrite of history—a diverse, egalitarian sub-Saharan Africa unaffected by colonialism or the slave trade, completely free from Western influence. As in the comics, the most intriguing things about Wakanda are its contradictions. The Black Panther guards the Wakandan way of life, but the Wakandans themselves are a fiction, disparate tribes (one of which doesn’t even recognize T’Challa’s authority) who have made deception a high technological art. They live in the future and the past, but not the present moment—or at least not a present moment that also includes aliens and superheroes.